Barcelona Superstar Lionel Messi has finally revealed why he dramatically switched his look and bleached his hair this summer. 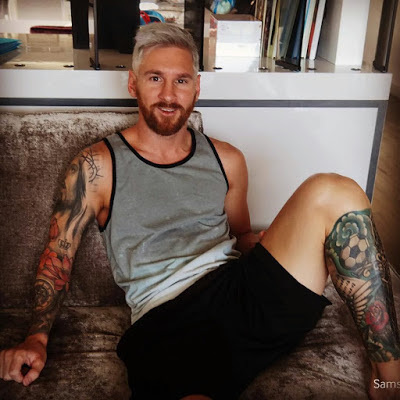 The Argentine star was first spotted with his new hairdo in late July, turning heads with a platinum blonde look after his partner, Antonella Roccuzzo posted a picture of the Transformed star on Instagram. And after returning to his home country and appearing on Argentine television, Messi addressed the question why he decided to ditch his usual brown locks. "I made a change to start from zero," he said.